A small concert presentation in the park is a pleasant way to end the afternoon and move gently into the evening. Such was today, passing through Freeway Park in downtown Seattle. 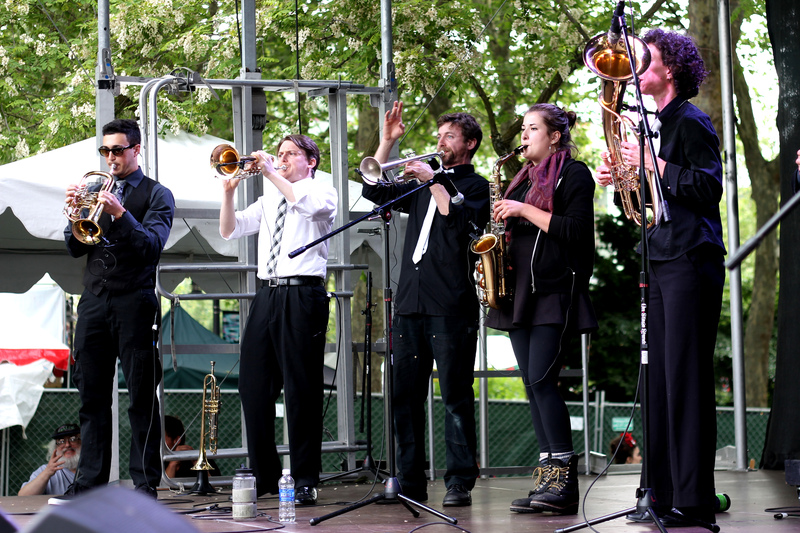 The happening was a welcome surprise put on by the Seattle Chamber Music Society for their Summer Festival. 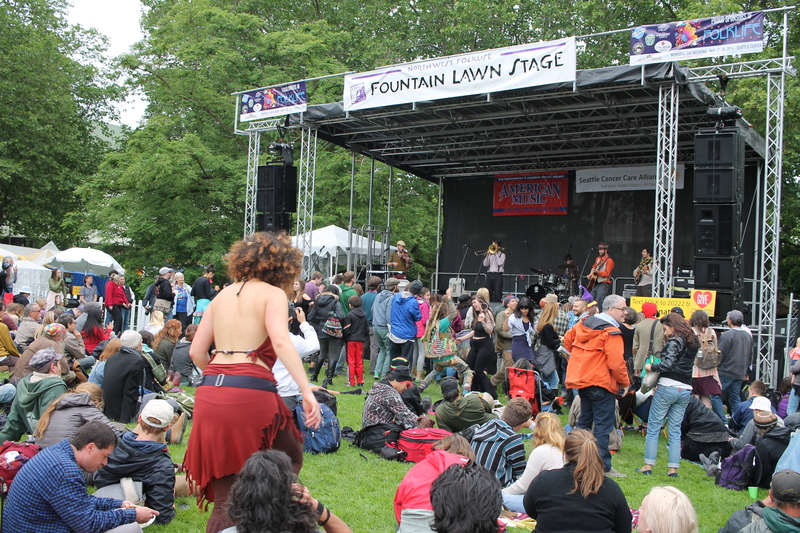 The small event was free, before a gathering of locals relaxed in chairs and lawn spaces. My ears appreciated and enjoyed the music. I hope to randomly find more when walking in the parks. 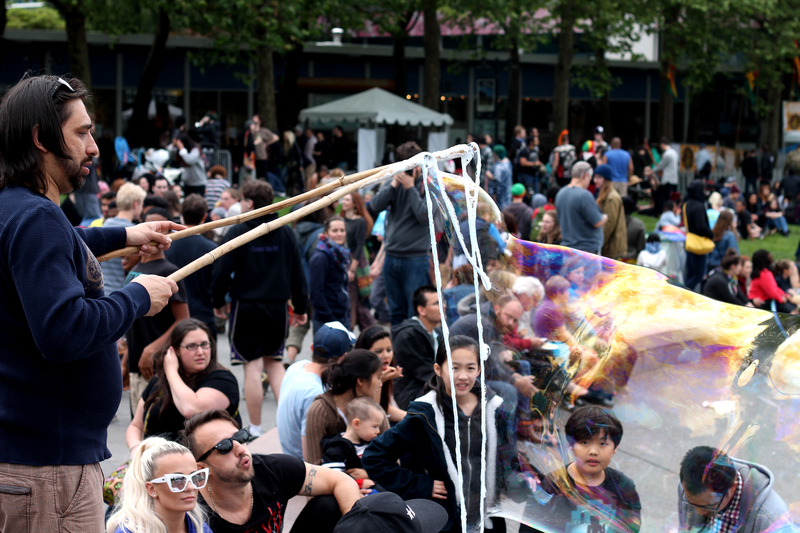 The weekend in Seattle held plenty for those with little in time, especially moments with great band music. 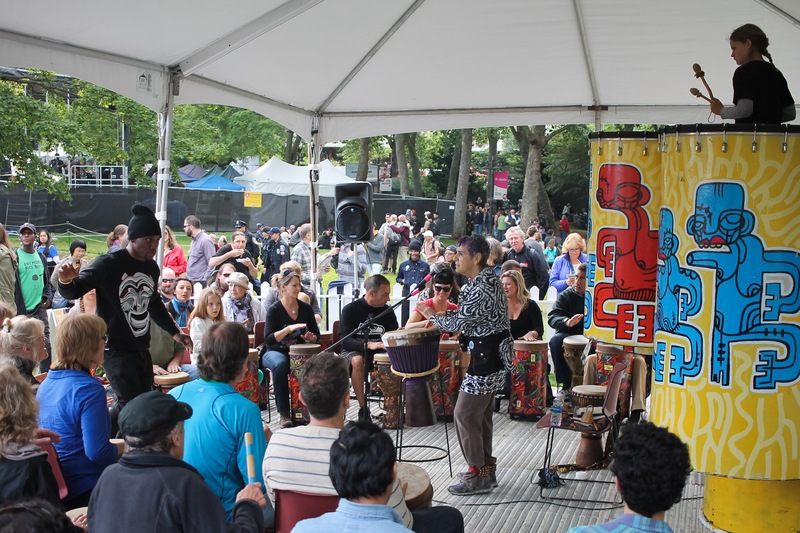 For me, I spent a little time for the second day of HonkFest West, a three-day grassroots, non-profit musical festival run and produced by volunteers. 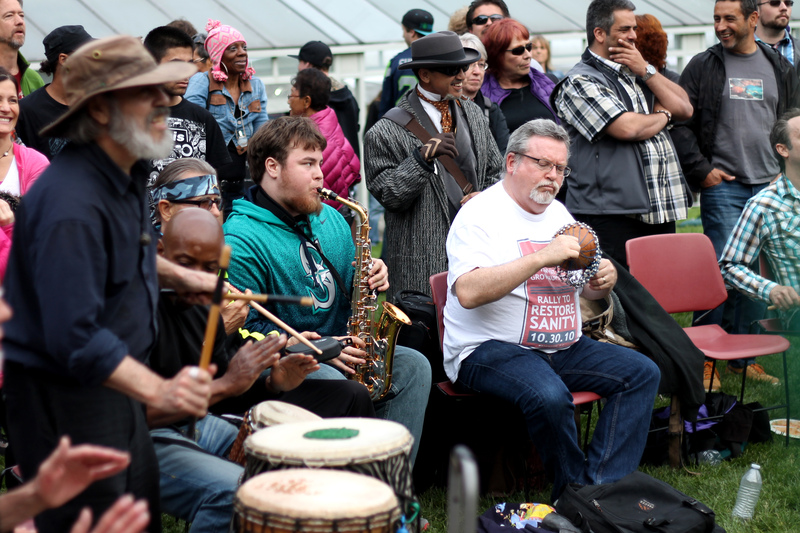 Much of the big sounds are from street bands coming from a variety of locations and backgrounds, to perform along three days in local areas. 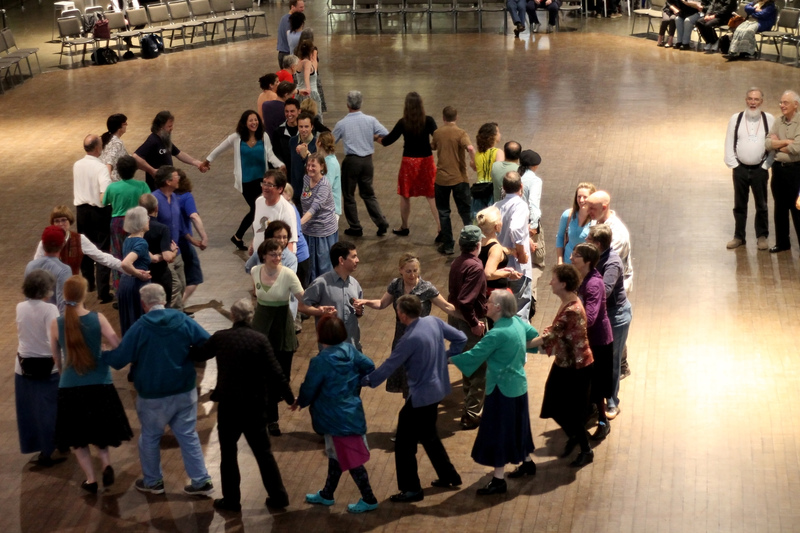 All performance are free and open to the public. However, donations in monetary supp ort are highly encouraged. 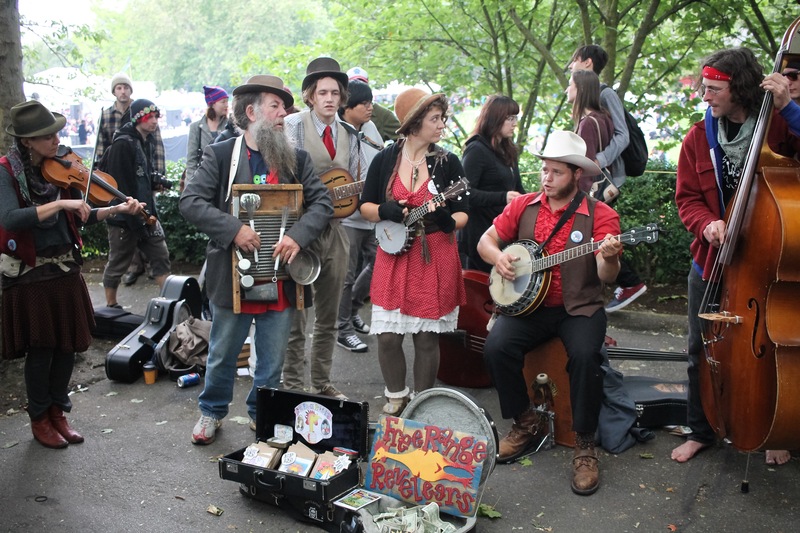 I had a little time on Saturday, passing through Pioneer Square’s Occidental Square, where nearby folk can hear the music and cheers from around the block. Coming closer brought a special awe to ears, with large group performances involving all the best instruments of the big band sound. I mainly stuck around for two main featured bands. After both bands, I was treated to another gathered performance of the M9 and some added performers for another amazing jam session. I share some choice pics I took of the excitement, below. For more on Honkfest West, check out www.honkfestwest.org. 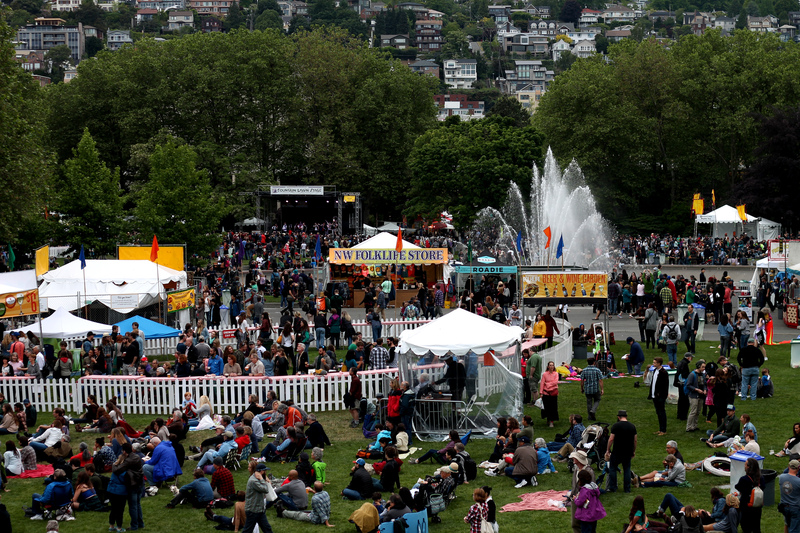 This Memorial Day Weekend, I took a little time out to check out the 46th annual Northwest Folklife Festival. 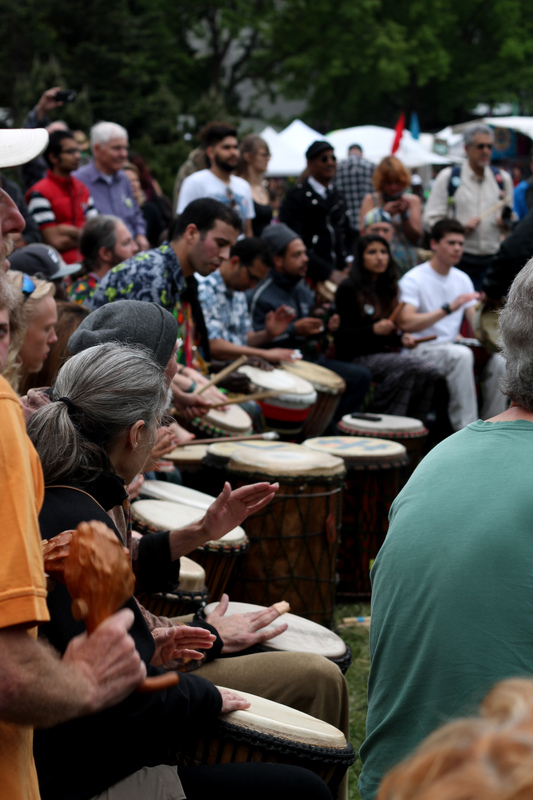 The event is a wonderful combination of music (mostly) and artists gathering for free (donations highly encouraged) performance for the thousands of visitors present. 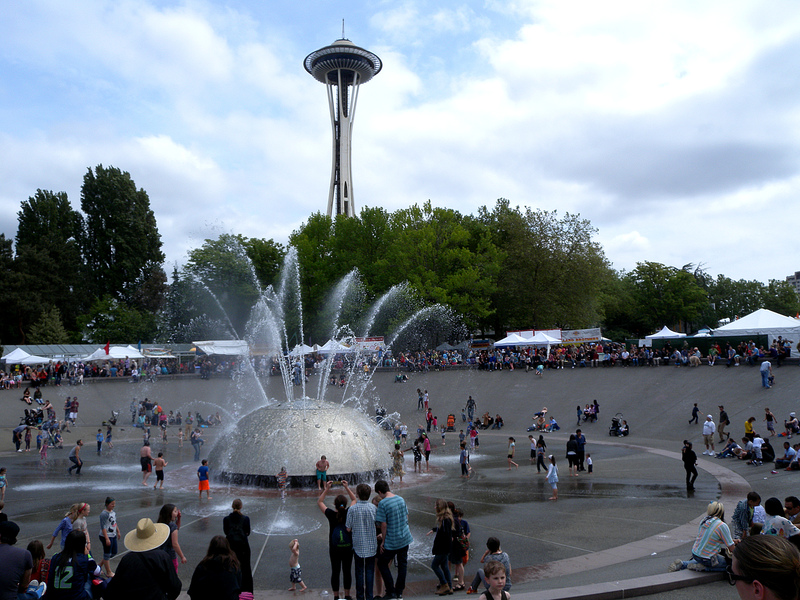 All located in the Seattle Center by the world-famous Space Needle, there was something extra special added to the grand mix of delights. That, being a full weekend of warm weather, supported by the blue sky and the sunshine. After nearly half a year of wet, cold, and gloomy weather, such kindness felt deserved for the locals and an extra bonus for incoming tourists. 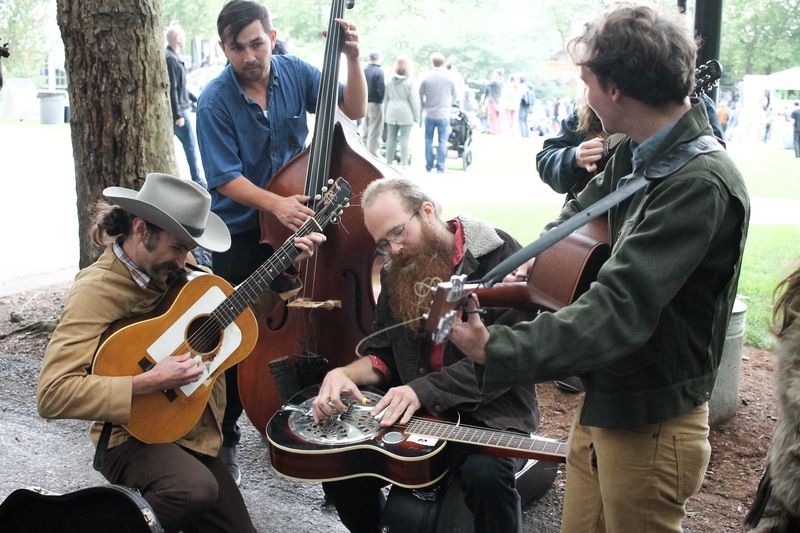 “3 Play Ricochet, ” bluegrass band. The”New Genesis Gospel Choir,” I think. I forgot to write this one down, but the schedule I believe matches the time I took the pic. A picture from my cellphone, showing the great Space Needle, with some reggae band playing. Sadly, I could not stick around to enjoy the entire show. 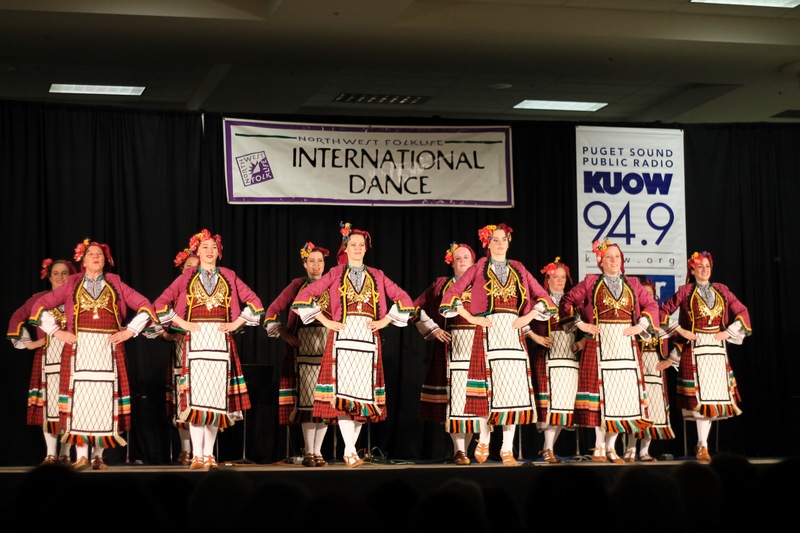 That’s all for this year’s 2017 Northwest Folklife Festival. The past years, I covered more time, but at least I discovered some new music with a nice international variety. 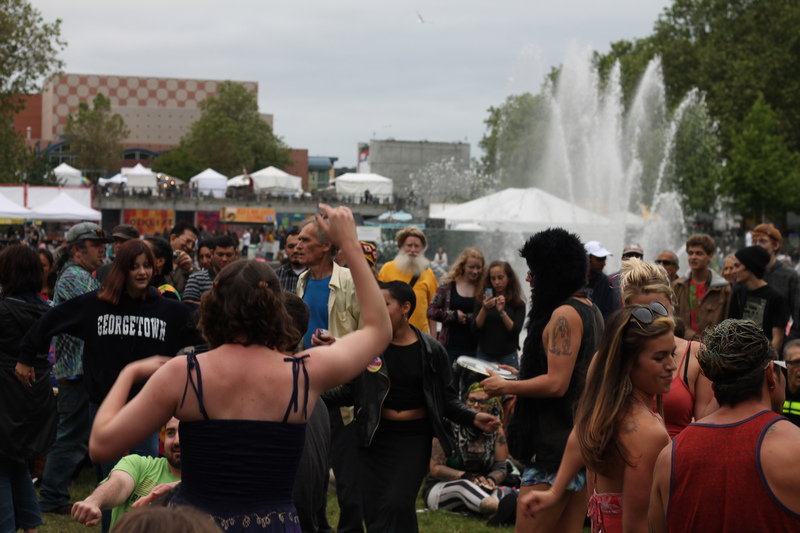 This year will likely not be last, and I look forward to checking out new acts, and hopefully more pleasant weather. Honk! Fest West 2015 weekend fun at Gas Works Park..
After the Solstice Parade last Saturday (see last entry), I enjoyed some evening jams at Gasworks Park. I give huge thanks to the 2015 Honk!Fest musical happening, featuring a variety of big band ensembles. All free, yet donor and volunteer backed. Below, are pics on the Junkadelic Brass Band from Perth Australia.. 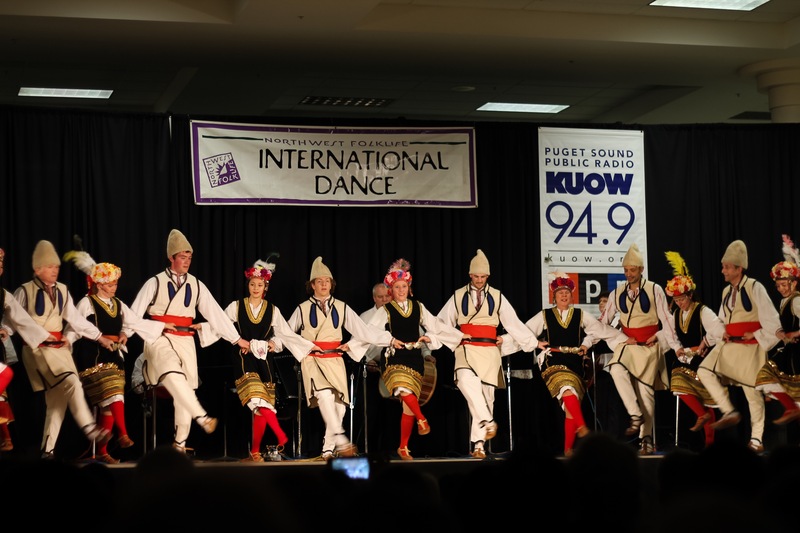 The 2015 Pacific Northwest Folklife Festival brought much joy to the many festive folk attending in Seattle, this Memorial Day weekend. Much of this was in thanks to the monetary support from the visitors, business donors and merchants. Further support was also in part to volunteers, who also made this wonderful event possible. For me, it was just relaxing and sampling of new and exotic musical and dance talents (while tipping many in appreciation). 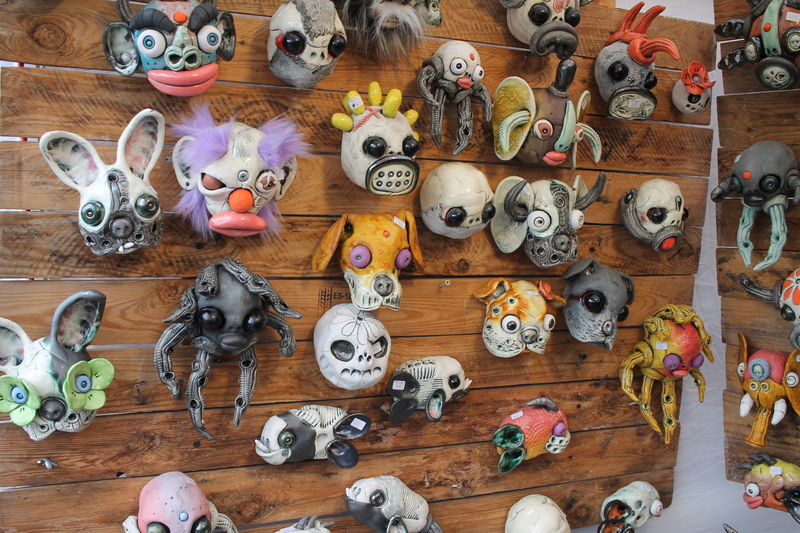 There was something for everyone here, I felt. And for that, I had to see what everyone had. 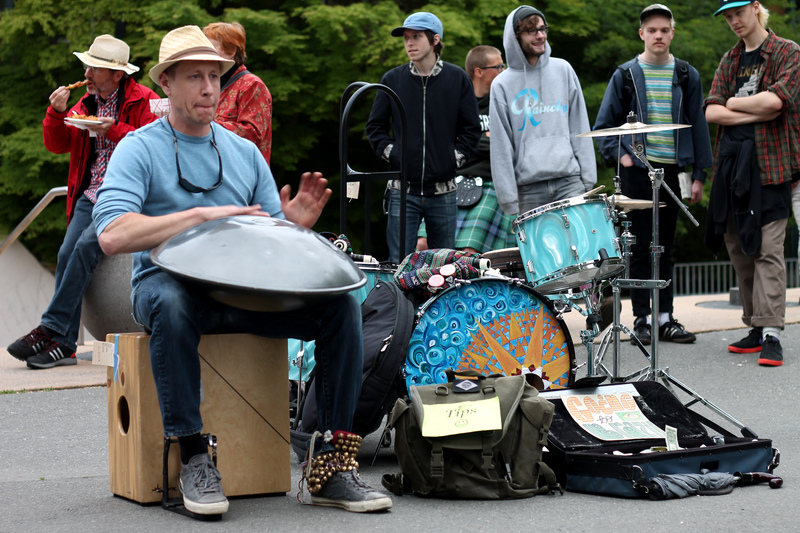 I took some pictures with notes, featured below..
Near the International Fountain, there was a drum (mostly) circle. 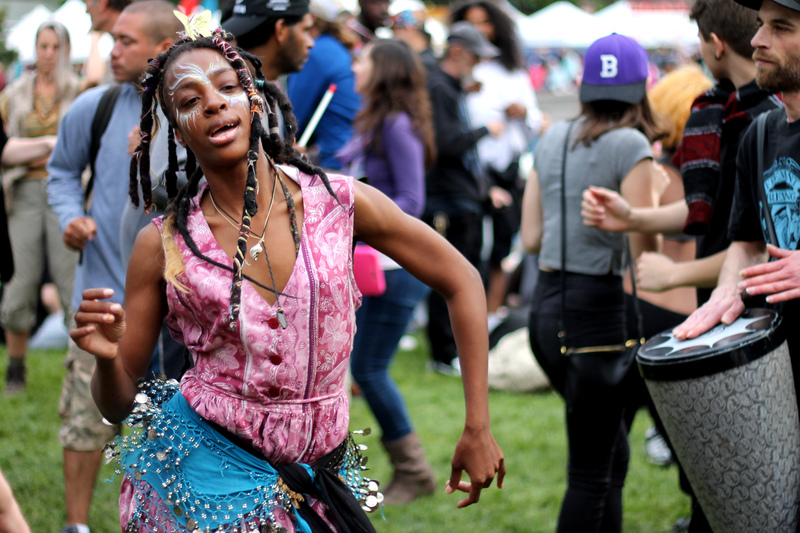 Beats combined created a nice fusion, mostly of a constant tribal pattern calling many to the center to shake and dance wildly. Many got their motions on, some with fantastic visual attire and style. There were some big stages, where some larger acts took place. I was drawn to the jazzy stuff. This is M9, a Romani-style brass band, from the local area. I enjoyed their music. 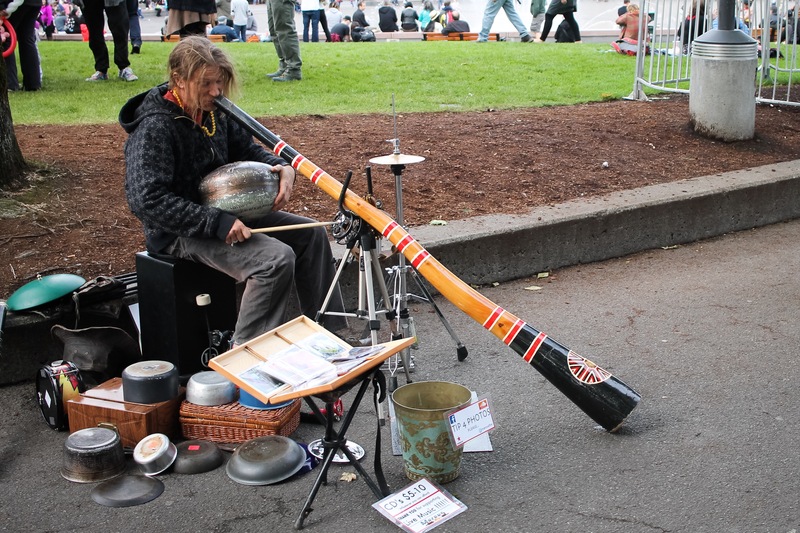 One of my favorite things about the Folklife Festival are the surprise sidewalk performances. You just have to be at the right place, at the right time to discover and enjoy something new and exciting. For this year, it was a mix of some Celtic (not sure) and country ho-down fun. I meant to ask more info on this group. I hope to see them again someday. 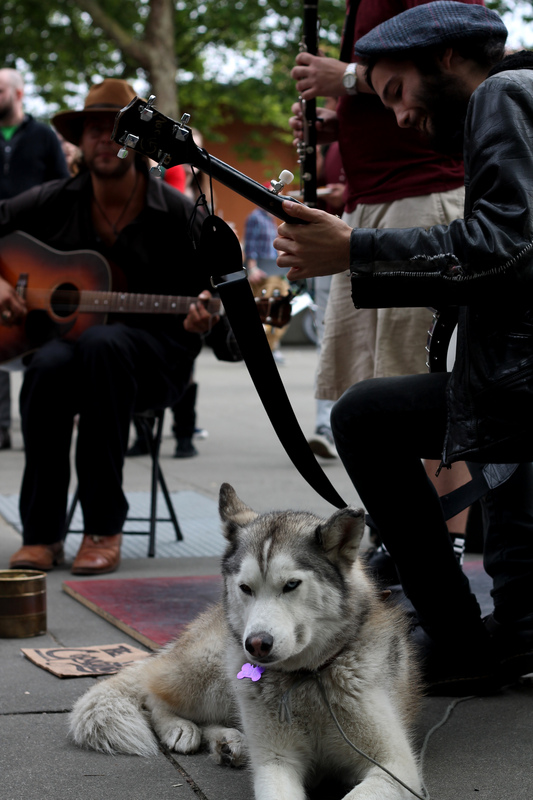 I noticed many sidewalk performers had their dogs with them, which I think added a lot of charm to the overall atmosphere. 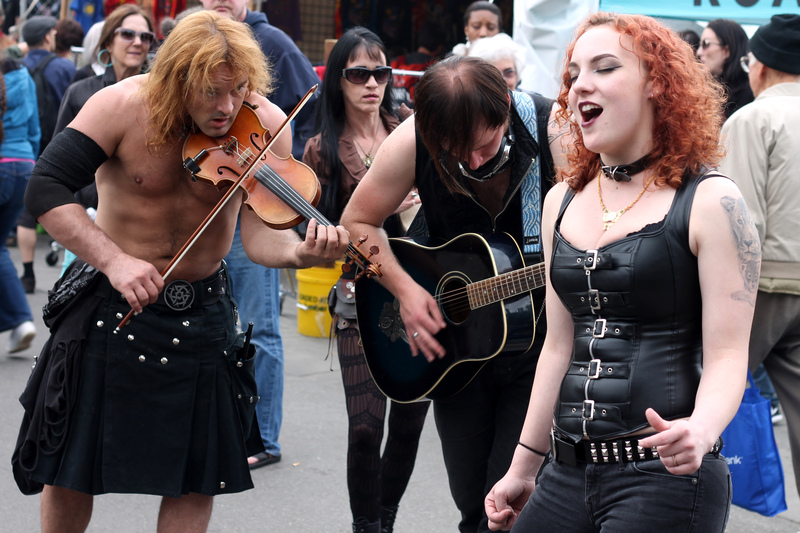 Another favorite sidewalk performance. I was hoping to get a name, but couldn’t hold out until the full act was over to ask. The steel drum (I think) produced a cool Caribbean beat when tapped, combined with the stepping of the speaker he sat on it. The effect was a hypnotic awesome rhythm. Some fantastic locking and popping happened here. 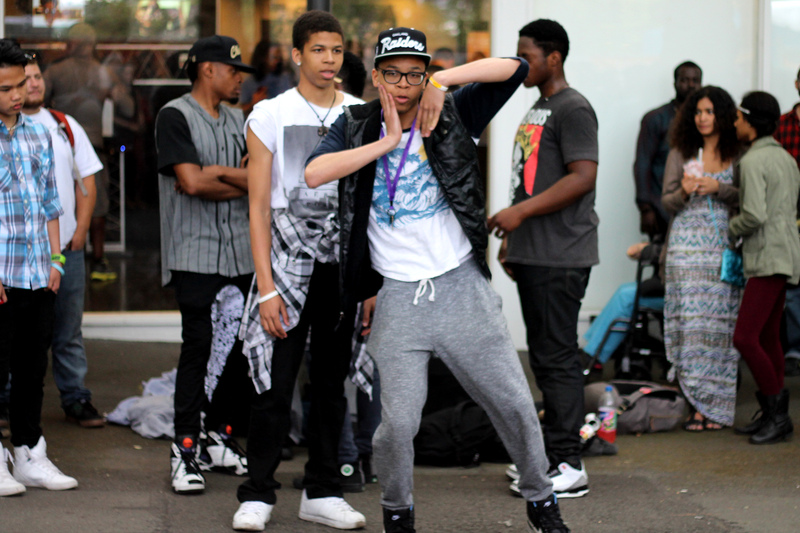 Loved this, as these sick moves brought me back to my early years on the streets of San Francisco. Not sure what dancing this is. There was some fiddle music from the stage at this time, and the line moved all around. Not all was music. Some fun came from people finding their own ways to share the delight. 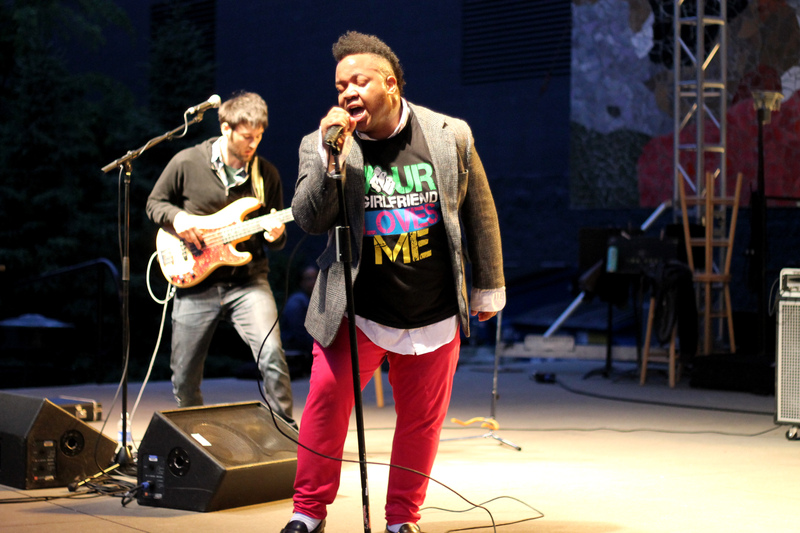 Anthony Briscoe and his band Down North brought some serious fire to the Saturday Night, fuming with a combo of rock, R&B, and soul. 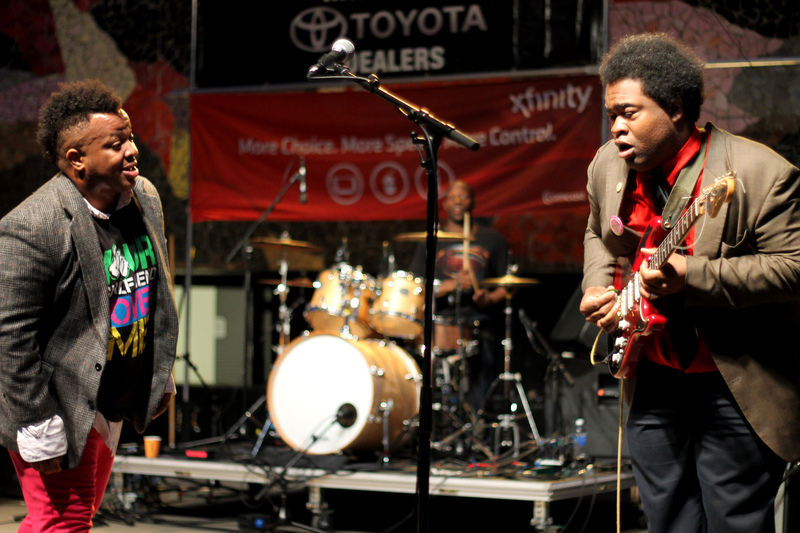 I didn’t catch the name of the guest guitarist who Anthony brought on stage for one jam, but daaamn, he was good. 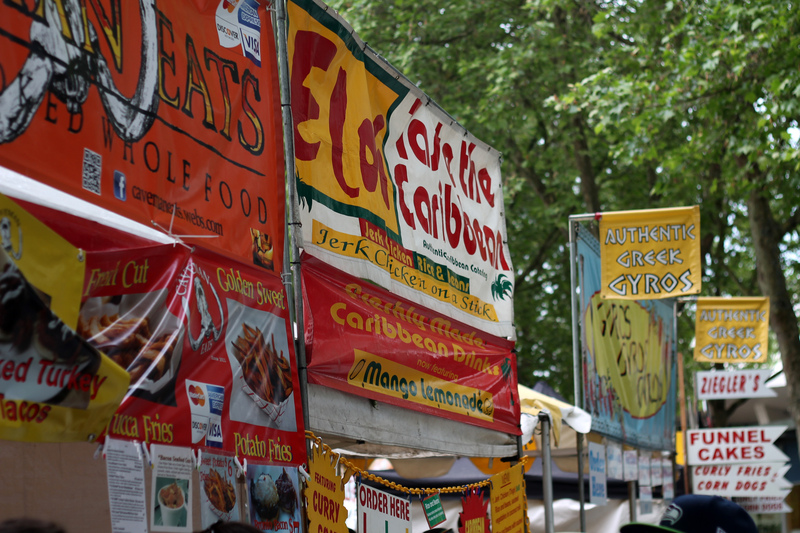 Festivals are not complete without some crazy food choices. 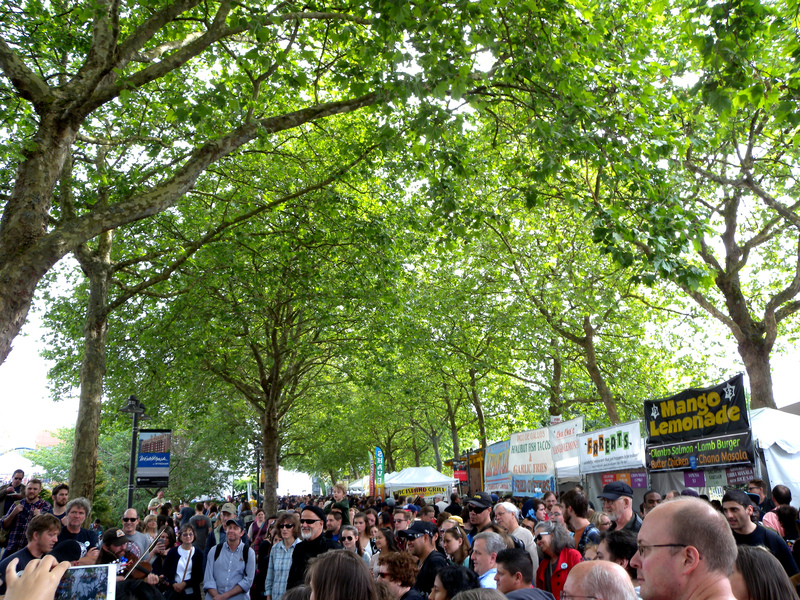 Not that it ever really gets hot here in Seattle, but the trees make for great shade and atmosphere. Overall, a lot of cheer from many. I was happy to be a part of all this. 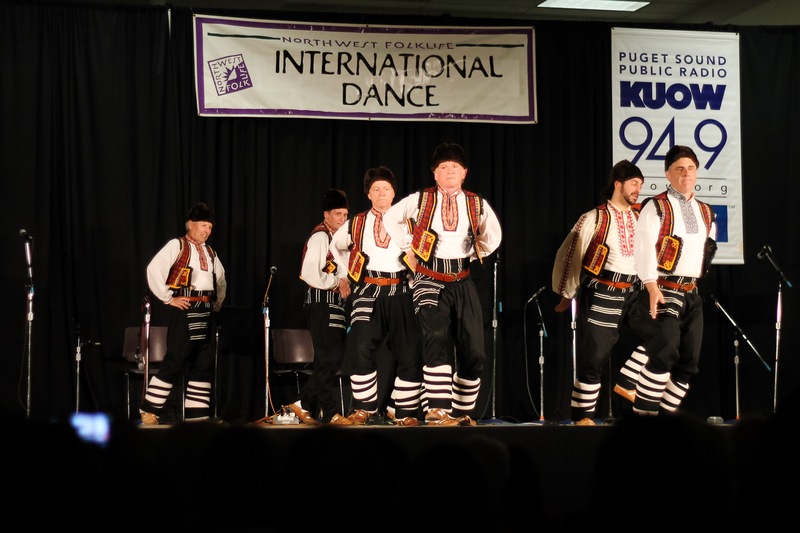 Thanks again to the PNW Folklife Festival and all involved, for making this happen.